Schlosspost is a dynamic transdisciplinary online forum for artistic research. It discusses current issues in art, culture, society and the digital world, and provides insights into the practices of international artists and scientists. It allows visibility to Solitude’s network of alumni, friends, and experts in more than 120 countries, promoting new political voices and collective discourses in an open and sustainable space. By exploring new forms of art publishing and writing, Schlosspost combines critical, serious, but even playful attitudes and ways of thinking. Believing in art’s transformative potential, it opens the door to a multiperspective world as well as transversal forms of knowledge and alternative futures. It shapes the digital sphere as a cocreative, transcultural, and nonexclusive space of experimentation and knowledge production. Schlosspost contributors come from all artistic disciplines and science, including current and former fellows, jurors, journalists, curators, and web residents. They run their own blog projects reflecting on their artistic research, show works-in-progress in studio visits, or contribute to ongoing online editions with topics discussed at Akademie Schloss Solitude. The web residencies program was initiated by Akademie Schloss Solitude in 2016 to support young talents from the international digital scene, and artists of all disciplines who deal with web-based practices. These present the process and results of their work online on the platform www.schloss-post.com. For each call, curators select four people or teams for a four-week web residency, each of which is rewarded with 750 USD. Three times a year, calls with different focuses – themes might include virtual reality, artificial intelligence, or surveillance technologies – are developed in the web residency framework. Since 2016, approximately 750 artists, coders, designers, technologists, and scientists have submitted ideas. So far the residents have produced work that was poetic, political, experimental, and even utopian. The works are primarily situated in the interstitial space between critique and optimism, reality and fiction. They reveal the tensions of technology and humans, intervene into common narrations of the Internet and society, or create space for new imaginations of another future. They reflect the role of art and its institutions in the age of the Internet and digital (re-)production. Since 2017, Solitude has organized the web residencies with ZKM | Center for Art and Media Karlsruhe. Solitude as an artist residency and the ZKM as a museum and place of artistic research and development merge their expertise and practice to work together on the program. Both institutions consider online artist residencies a relevant format for supporting artists in a globalized art world shaped by digitalization. The program is designed to be open, shaped by the ideas, concepts, and methods of a scene that operates beyond the mainstream art establishment. Web residencies’ focus is not in the finished art piece; artists are rather invited to experiment with digital technologies and new art forms within a defined thematic framework. They’re in direct exchange with the professional network of both institutions as well as a broad digital public which in turn gets immediate access to the artists’ works. This format allows a decentralized and international discussion on topics set by the invited curators from the worlds of digital arts, net culture, and digital technology and society. Find all calls and web residencies at this link. New calls will be published here. Program coordinators are Clara Herrmann (Solitude) and Margit Rosen (ZKM). The Akademie Schloss Solitude, Stuttgart, and the ZKM | Center for Art and Media Karlsruhe have jointly established the HASH award, an international prize for Internet-based projects in the fields of art, technology, and design. Inspired by the Hash value from information technology, which is unique for each file and used as a test value for data transfer, the HASH award stands for project excellence. The production prize was awarded for the first time to one of the 2016/17 web residents on February 15, 2018. The 8,000-euro prize is donated by the Foundation of the Landesbank Baden-Württemberg. All works by the web residencies are also shown in the »Open Codes« exhibition at ZKM. Videos from the last HASH award can be found here. 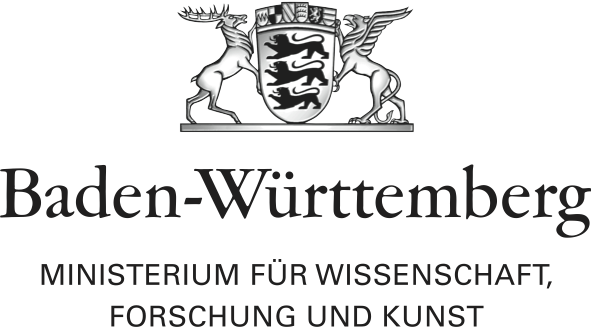 The online platform Schlosspost is supported by the State Ministry of Baden-Wuerttemberg for Science, Research and the Arts. Sophie-Charlotte Opitz is a transdisciplinary scholar in visual culture studies and cultural memory studies. In 2019, she is the art coordination fellow within the Digital Solitude program and works as the editor for Schlosspost,and other projects. After her degree in philosophy and art education, she wrote a PhD thesis on aesthetics and the dynamics of war and conflict photography. Opitz has published a range of articles on photography, memory dynamics, and art education, at e.g. transcript Verlag. She is primarily interested in the layers of time and space that form our everyday lives, and the politics of (in-)visibility. Find out more about her work on her webpage.